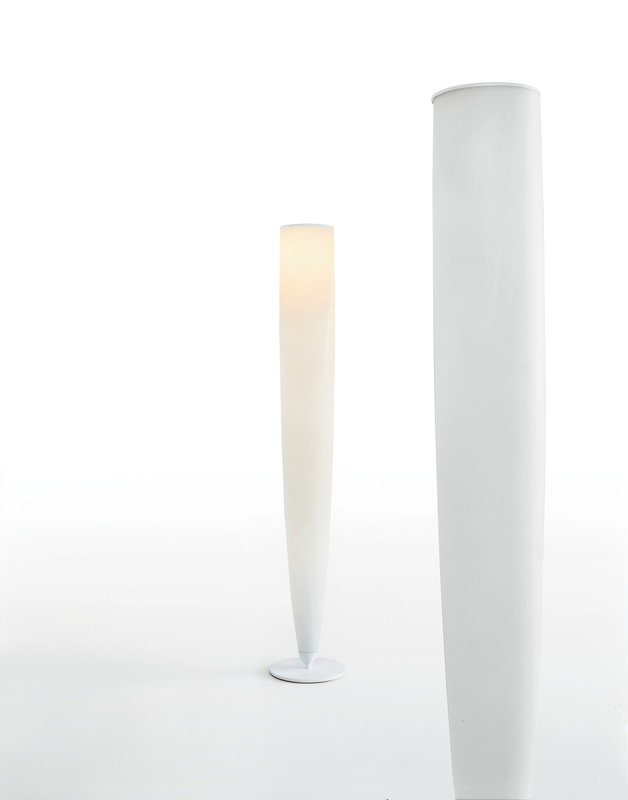 Floor-standing halogen lamp with diffuser in satin-finish milk white blown glass. Structure and base in matt white painted steel. 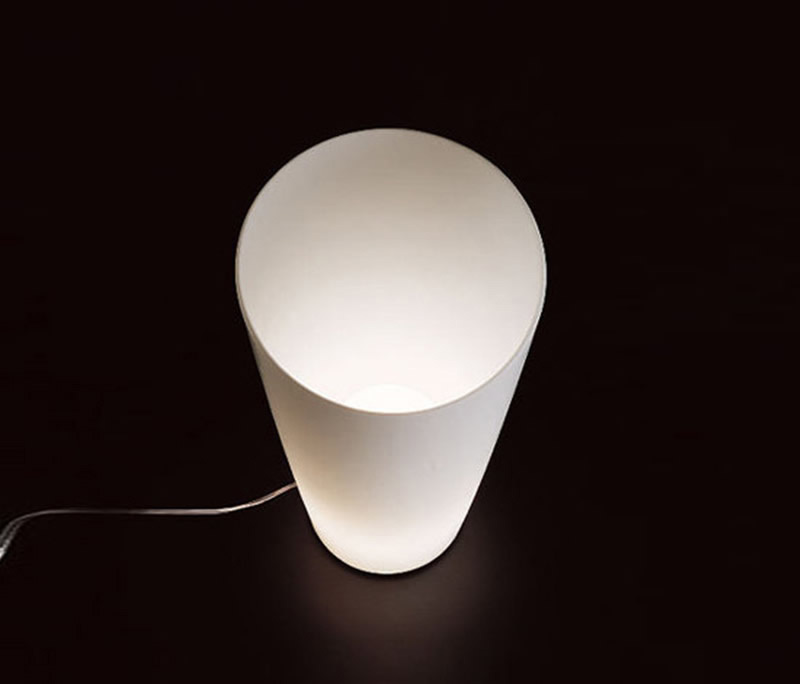 A shaped parabolic reflector projects the light downwards, through the diffuser so that is pleasantly diluted, as well as upwards.